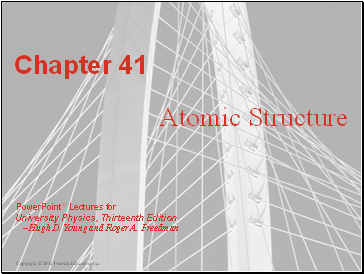 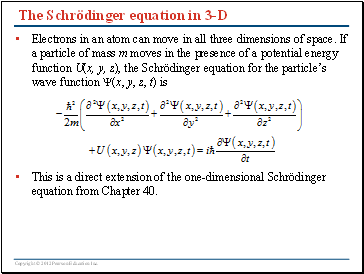 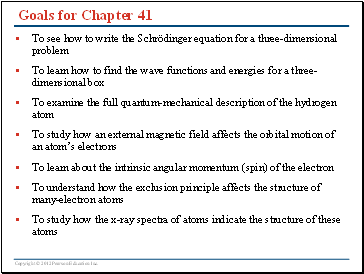 This is a direct extension of the one-dimensional Schrödinger equation from Chapter 40. 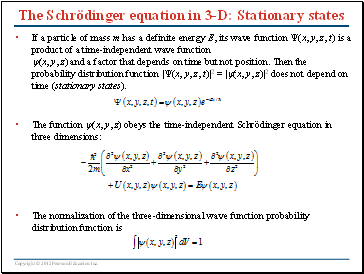 If a particle of mass m has a definite energy E, its wave function (x, y, z, t) is a product of a time-independent wave function (x, y, z) and a factor that depends on time but not position. 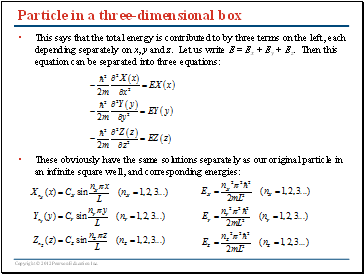 Then the probability distribution function |(x, y, z, t)|2 = |(x, y, z)|2 does not depend on time (stationary states). 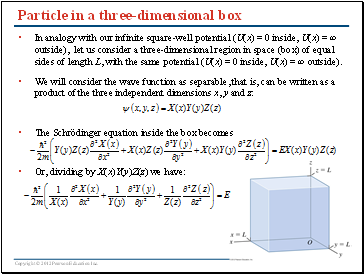 In analogy with our infinite square-well potential (U(x) = 0 inside, U(x) = ∞ outside), let us consider a three-dimensional region in space (box) of equal sides of length L, with the same potential (U(x) = 0 inside, U(x) = ∞ outside).